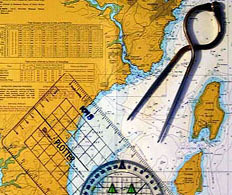 Our navigation and seamanship theory courses are designed to help you unravel the mysteries of navigation, pilotage, passage planning and meteorology. They are great as stand alone courses, but also complement our various practical training courses. Whether you are a sailor or a motor boater, our shorebased courses equip would-be and experienced skippers with enough knowledge, at least in theory, to go afloat and take charge of a yacht.